Products | NOSTER | BIOTICS | NITTO PHARMACEUTICAL INDUSTRIES, LTD.
NOSTER is our new strategic brand in the Bio business. We intend to expand the product lineup. The first NOSTER-branded products are selected seven of our original strains. 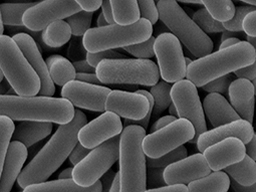 We are providing seven strains as food raw materials, including four species of lactic acid bacteria, under the brand name NOSTER. We gain abundant evidence through extended research.